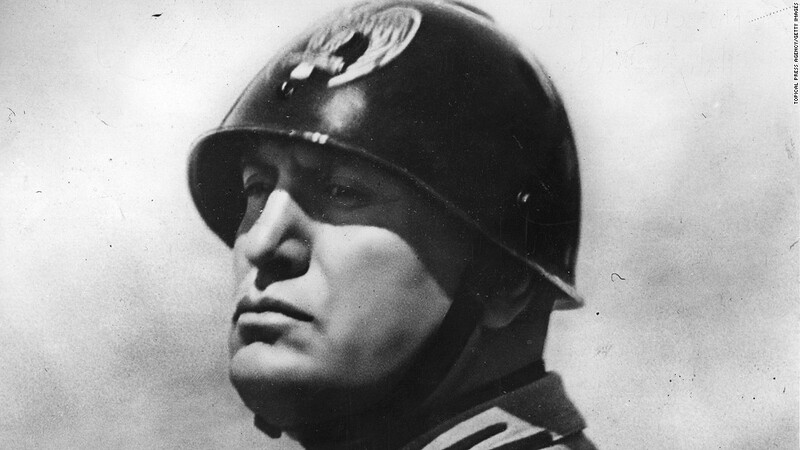 Benito Mussolini: Italy’s leader for more than 20 years, met an ignominious end in 1945. It is a story that can illustrate what I called the “The Camper’s Dilemma”, how deception may be an operational strategy for governments and for elites. How you react to a threat depends on how serious you consider it. Small or moderate threats don’t deserve a strong reaction, while extreme, “existential” threats generate emergency measures. In between, there is an intermediate threat zone where you can think that it is a good idea to save yourself by cheating. It is what I called the “camper’s dilemma.” Imagine two campers in a forest inhabited by hungry bears. One possible survival strategy for each one of them is to cheat, convincing the other that there are no bears around and then quietly disappear, leaving him to be eaten. When you have a model that looks good to you, the risk is to consider it as a hammer and see everything else as nails. But I think the “camper’s dilemma” can tell us something about what’s going on in the world. We all know that we are being cheated by our governments but, perhaps, the extent of the ongoing cheating still escapes most of us. So, as an example, let’s revisit what happened in Italy during the second world war; when the military elites abandoned the army and the country in order to save themselves. We all know how Mussolini’s government made a number of truly gigantic strategic mistakes, engaging the country simultaneously against three of the greatest military powers of the time: Britain, the United States, and the Soviet Union. How could anyone think that was a good idea is baffling for us, but, evidently, Mussolini underestimated the threat that the country faced. He seems to have been thinking that the superior fighting spirit of the Italian soldiers would take Italy to victory despite its inferiority in terms of resources. Reality made short work of this illusion when the Red Army defeated and destroyed the Italian expeditionary corps in Russia, some 250,000 men, in a campaign that lasted a few months from late 1942 to early 1943. It was a terrible blow for Italy. It showed that, no matter what was the fighting spirit of Italian soldiers, the Italian army couldn’t cope against the larger and better-equipped enemies it faced. I already discussed the defeat of the Italian forces in Russia in a previous post, noting that Italians were told nothing by their government about the true extent of the disaster. But let’s go a little deeper in the matter, here. First of all, the elites of the country had access to all the information they needed to understand that the war was being lost. But there was a not-so-subtle difference between what Mussolini and his followers were thinking and what other people at the top, including the King of Italy, were thinking. Mussolini still hoped for a miracle, maybe coming from the “revenge weapons” that the Germans were developing. The King and his generals, instead, were mainly trying to save themselves by finding an agreement with the allies before it was too late. Both factions, however, needed to keep the country at war, at least for a while. So, the Italian press kept lying to Italians while secret negotiations were ongoing between the King and the allies. Things come to a head on Sep 8, 1943, when Mussolini was deposed and arrested while an armistice was signed that stipulated the surrender of Italy. Then, the king and his entourage fled from the capital to find protection with the Allies. The Italian army collapsed in a matter of days, left without orders and without support, to be “eaten by the bear”, that is by the German troops in Italy. The last ditch defense that Mussolini tried, later on, had no hope to succeed. It seems to be a general observation that, when facing a serious threat, the elites of a country can reason that the best strategy for them is to cheat the people and save themselves. In the present situation, the threat of global warming seems to be driving some elites to do exactly that. They deny the threat while at the same time maneuvering to save themselves by moving to higher grounds and equipping their mansions with air conditioning. For all they care, the rest of the people can drown or roast. But, as the threat of climate change becomes clearer, the elites may discover that nobody can survive in an uninhabitable planet. Then, they may finally decide to try to do something to save the ecosystem from which we all depend. Unfortunately, when that time arrives it may well be too late. (*)There are other similar cases in history. During the war, in Germany there were attempts to kill Hitler, that failed. Even in the Soviet Union, in 1942 Stalin emanated “order 227” (“not one step back”) in order to re-establish discipline in the Soviet Army. In older times, we may cite the case of the kingdom of Naples invaded by the Piedmontese in 1860, when several Neapolitan generals defected to the other side. There are many more cases that show that the strategy of deception doesn’t always work, but it does exist.